Let’s start by saying Happy New Year!! I know some people reading this already have started 2017. We have an hour left before we can go throw our confetti. Then it’s time to get ready for bed. 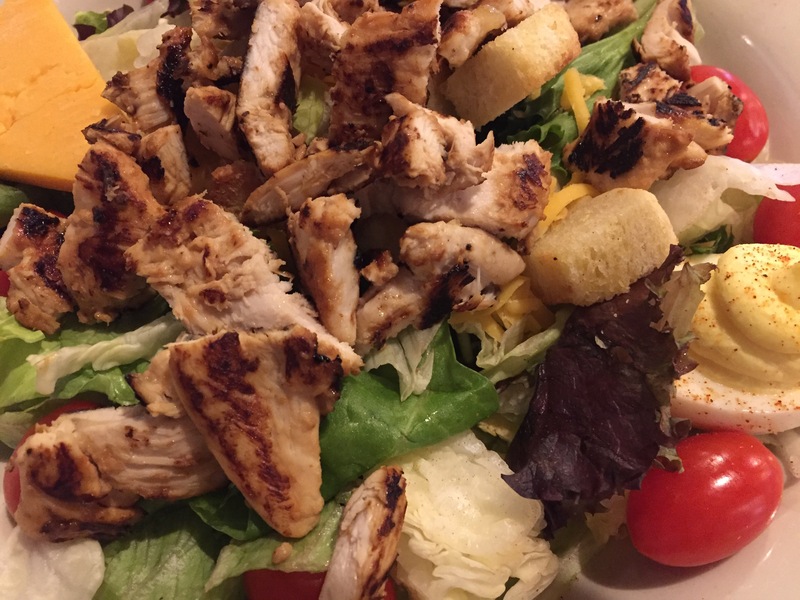 So I started off good by choosing a nice grilled chicken salad with fat free dressing. Then my husband and I split a coke a cola cake and ice cream. Now if my day ended there I would have done pretty good. Since then I have ate way too much cheese, crackers, lil smokies, chips n dip. You get the pic. Tomorrow I gotta buckle down. Did really well yesterday. Actually I only had 880 calories and my app wouldn’t let me complete it because it said I didn’t eat enough. I made up for it today. I did weigh in and thankfully I am only up 1/2 a pound since I started this blog. I’m down on steps. I only have half of them in so I’m going to close this blog and see how many I can get in before midnight. Doubt if I can make it but it won’t hurt to try. Happy New Year! Thanks so much for reading my blog! Hope you follow me in the new year! God Bless you in 2017!